Barbequed Sirloin steak served with sweet chili on sizzling dish. Crispy Sea bass fillet with spicy in sweet and sour with pineapple, tomato and cucumber. Strong flavored of crispy roasted Duck supreme with sweet tamarind sauce. Stir fried marinated Lamb with aubergine, chili, and cumin served on sizzling dish. Steamed Sea bass with lime juice, flavored with lemongrass. Stir-fried Tiger prawns with garlic, black pepper with spring onions and pepper. Sizzling Duck with Thai sweet basil, chili, onion and mixed pepper. 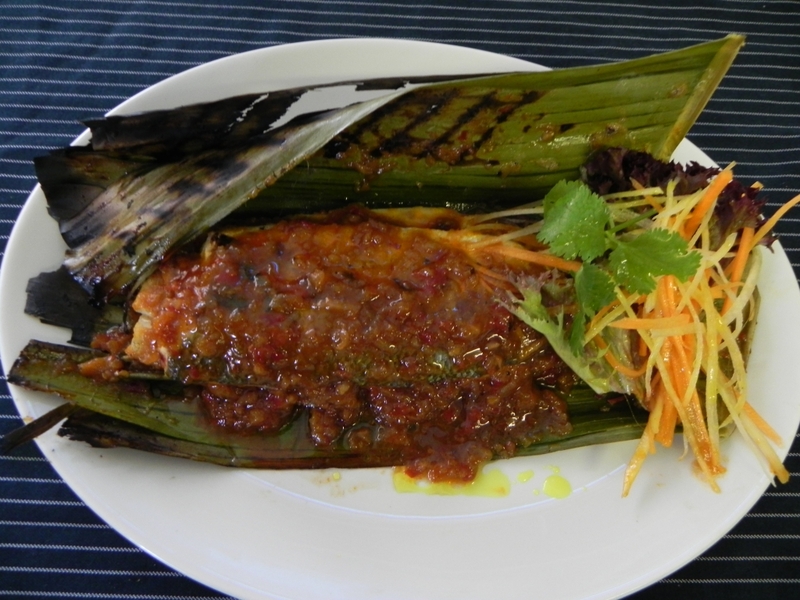 Crispy Sea Bass fillet with caramelized chili, green beans, pepper flavor kaffir lime leaves. a spicy sauce,peppers and onions. 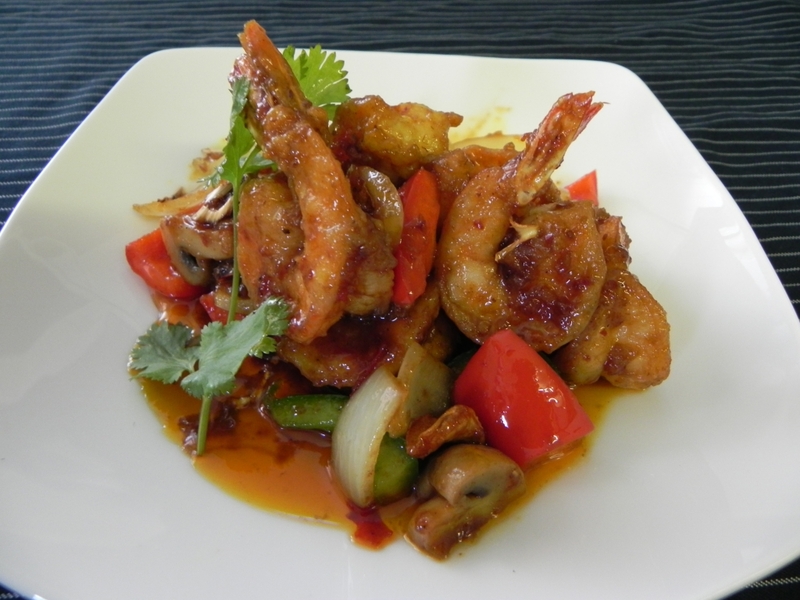 Stir fried Tiger Prawns with tamarind sauce on top with golden onions. 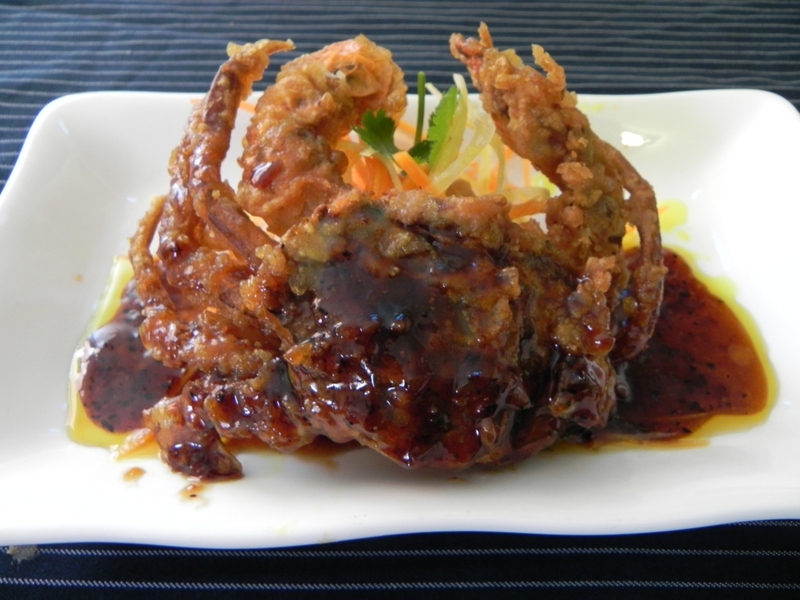 Golden fried soft Shell Crabs with garlic and pepper sauce. Light butter King prawns and vegetables dipped served with plum sauce. 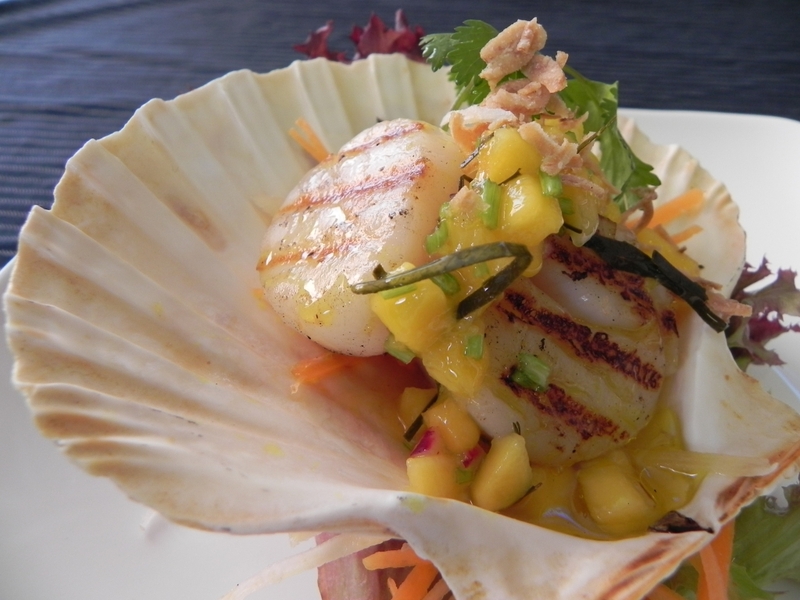 Diver scallops ceviche with chill, spring onion and soy. Sprinkled with toast sesame served with cucumber relish. Thai fish cakes with mixed salad served Thai sweet chili and peanut. 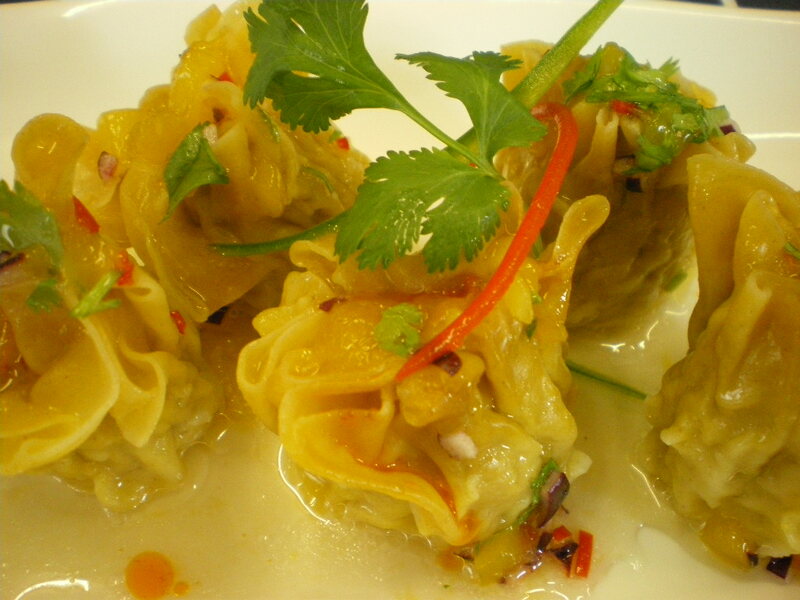 Steamed dumplings Thai style with minced pork & prawn served with mango sosa. 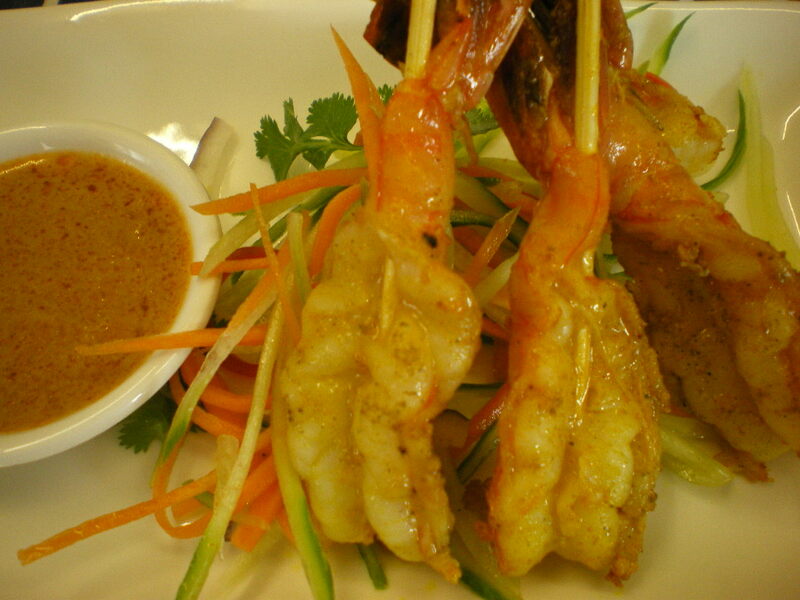 Marinated on skewered served with cucumber relish and peanut sauce. Deep fried pork ribs,marinated with garlic &pepper. Steamed Mussels in hotpot with lemongrass & sweet basil leaves and corianders. Spring rolls stuffed with mixed vegetables, glass noodles served with chili & plum sauce. Classic hot and sour Tiger prawns soup and chili paste. herbs and a fresh chili. Isarn style grilled Beef sirloin salad with fresh saw tooth coriander & roasted ground rice. with ground roasted rice mint leaves spring onions. fresh mint leaves and crushed roasted rice, served Thai salad. Stir-fried King prawns with sweet and sour with pineapple, tomato and cucumber. Satueed Chicken with roasted chili paste, cashew nuts on crispy pancake. Stir-fried Chicken with fresh ginger, spring onions, mushrooms and mix vegetables. Wok-seared Beef with oyster sauce pepper & mushrooms. Stir-fried Pork with chili, garlic, Thai holly basil leaves and runner beans. Thai green curry cooked in coconut milk, bamboo shoots, green bean& basil. Red curry cooked in coconut milk, aubergine, and pepper, basil leaves. Yellow curry cooked in coconut milk with onion & potatoes. Red curry pineapples cooked and kaffir lime leaves in coconut milk. Jungle Curry traditionally Northern a spicy curry without coconut milk. King prawns with coconut milk and pineapple in red curry flavour and kaffir lime leaves. 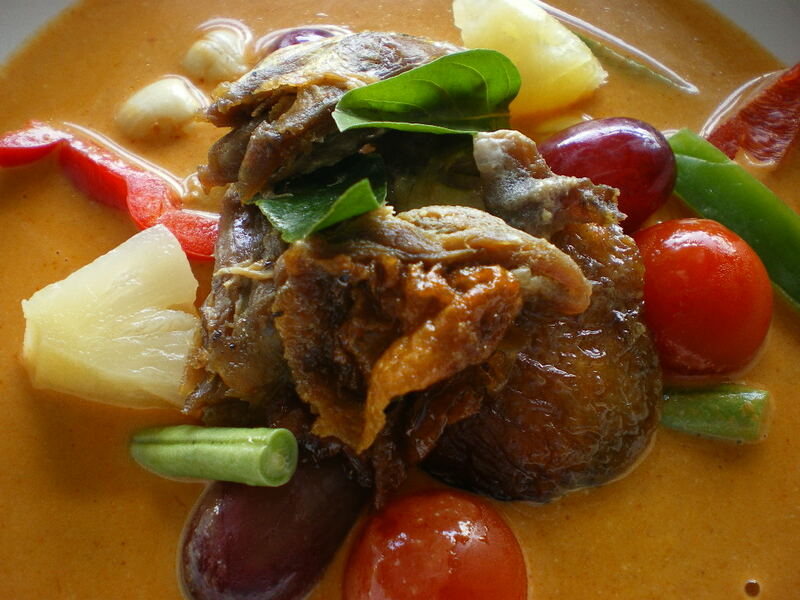 Exquisite fruit flavored curry with roast Duck and fresh fruit in a light coconut milk. Typical dish from the south of Thailand, cooked with medium. 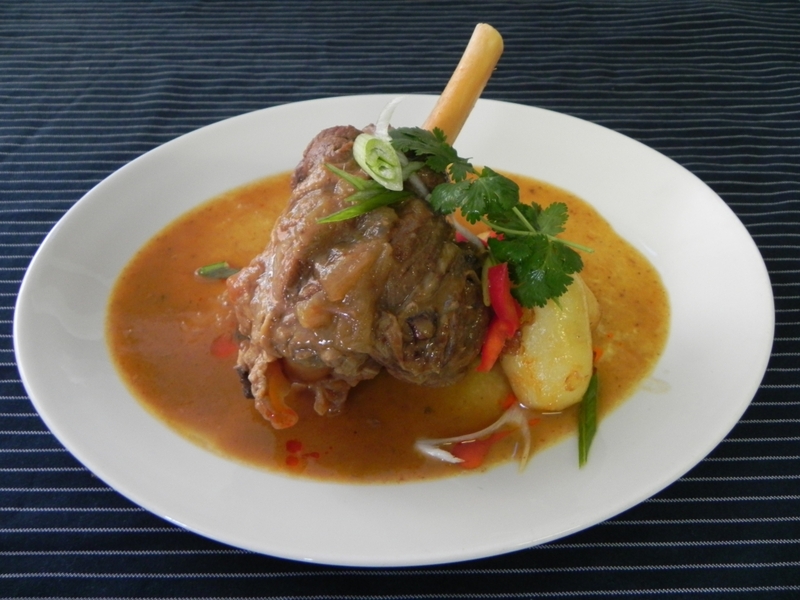 Spicy rich gentle sauce and potatoes. Served with ground peanuts & lime slices. Spicy Thai style fried noodles with Beef Thai holy basil leaves. 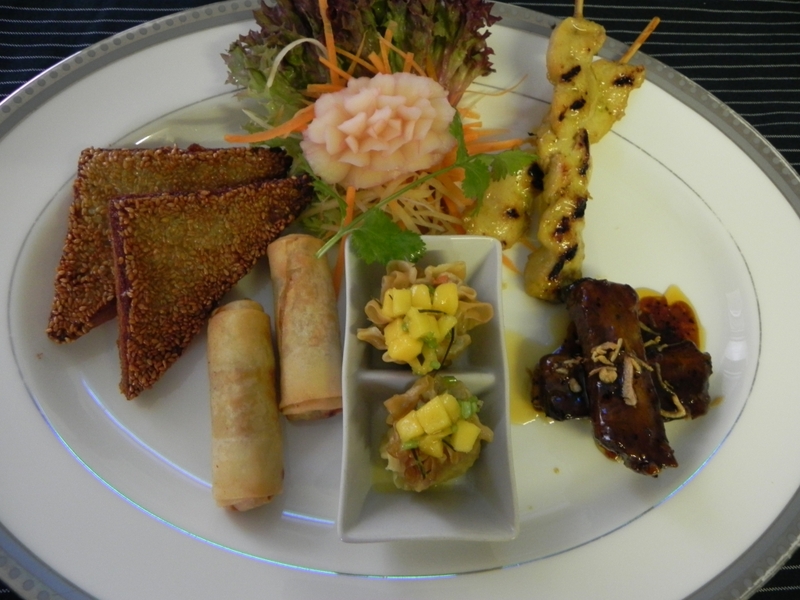 Stir- Fried jasmine rice with King Prawns & Chicken pineapple& cashew nut with yellow curry. Stir fried egg noodles with Chicken and mixed vegetables. Stir- fried aubergine with fresh chili, garlic, black bean sauce & basil leaves. Stir fried mixed vegetables baby corn, mushrooms, pepper, carrots, with soya sauce. Sautéed broccoli with garlic in soya sauce. Sautéed snow pea with sesame seeds, garlic and pepper. Sautéed Mushrooms and Thai sweet basil. Delicate pancake, enclosing a filling of grated coconut and fresh coriander. Spring rolls stuffed with mixed vegetables, glass noodles served with chili& plum sauce. Sweet corn cake served with cucumber relish. Classic hot and sour Mushrooms soup and chili paste. 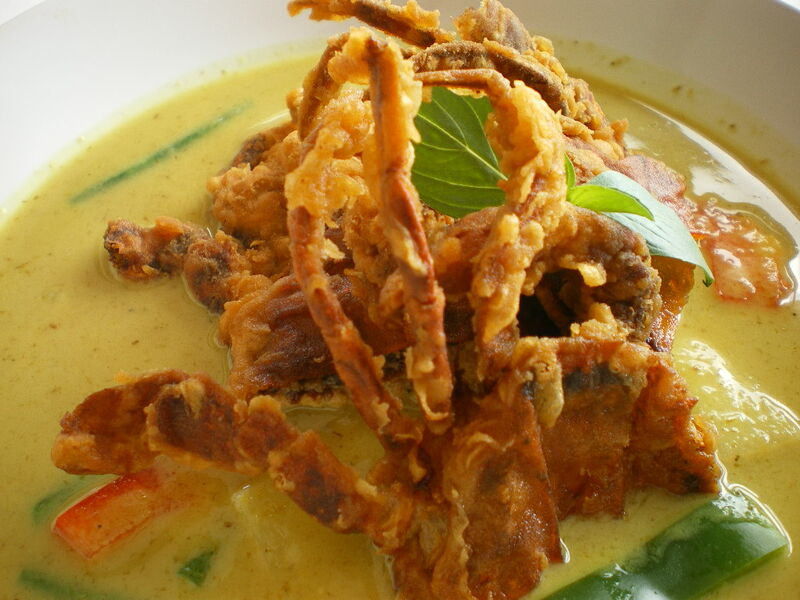 Fragrant soup with Mushrooms, lemon grass & galangal in coconut milk. Green curry with Quorn, mixed vegetables cooked in coconut milk. Stir fried Tofu with sweet & sour mixed vegetables and pineapples. Red curry with Tofu, pineapples cooked in coconut milk. Fried Tofu with sweet tamarind sauce. Special Thai noodles style with Egg, Tofu, bean sprouts and mix vegetables. Thai style fried rice with Egg, carrots, tomatoes & onions. On toast, spare Ribs and Spring rolls. Green bean & pepper basil. Harmonious taste of King Prawn and pineapple, pepper in red curry with coconut milk. Steamed premium Thai jasmine rice.